2017 is my third year picking a word for my year. In 2012 my word was Intentional. I stuck with it for a couple of months and then it just kind of fell off my radar. Then in 2016, I decided to try again and my word for the year was Joy. And it had such a big impact on my year. It helped guide my focus, my goals, and my direction for the year. While we had some ups and downs, I can honestly say that my 2016 was dominated by joy. Or at least learning some really powerful lessons about joy. I’m hoping in the next few weeks to share some of the big lessons and things I learned from my year of joy. But today, I’m excited to share my word for 2017. I thought a lot about my word. I was first thinking about the word GRACE. I toyed with this being my word for 2016 as well. Giving grace to others, giving grace to myself, learning more about God’s grace and how it plays out in our lives. I think grace will still have a big part of my year, but ultimately I landed on Create as my word for this year. to evolve from one’s own thought or imagination, as a work of art oran invention. It all started in 2015. Most of that year was spent in survival mode for me. The first half of the year I had a very difficult twin pregnancy which resulted in two very happy and healthy 7lb boys. But wow, was the last three months of that pregnancy rough! Then the second half of 2015 was busy spent surviving life with four kids, 2.5 years old and younger. Between four little kids and a rough recovery from a c section in which I lost a ton of blood (I had no idea your blood levels could have such an effect on your energy). With all of that going on and then having FOUR kids, under three….the remainder of 2015 was a blur of exhaustion. Then in December of 2015 we took the gigantic leap and Jason quit his job. As of January 2016 we officially became a work at home family running our ministry here full time. So then that moved us into 2016 which was my year of joy. My focus was to start to dig out of survival mode and learn to live with more joy in my home, in my marriage, with my kids, and in my life. 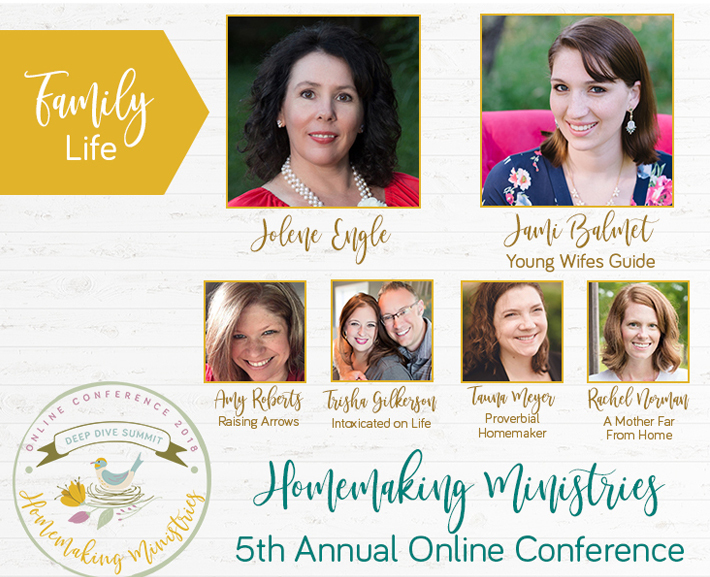 Throughout all my study, I ended up developing my free course, Finding Joy in Your Home – Essential Habits for Christian Homemakers and it has since impacted over 5,000 and counting who’ve gone through it. I am so thankful that God led me to have this focus on joy throughout the year because in May, we got a gigantic surprise! As my older twins were not even 3.5 years old and my younger twins were just barely 9 months old, we found out we were expecting again. With my history of twins, our plan was to wait longer between these pregnancies. But God had different plans and all we could do was face our future and these close pregnancies with joy. Over the summer, we found out that indeed, God’s plans are amazing! We are pregnant with one baby girl. And as of the day I’m writing this in early January, we are eagerly awaiting her arrival any day now. And now, as we head into 2017, I still have parts of my life that are living in survival mode, as we are about to have 5 kids, four and under. My oldest twins just turned 4 last week, and my younger twins are 18 months this week. So yeah, it’s a still a bit, or very chaotic at times, but God taught me so much through my year of joy. I’m ready to take this principles and lessons he taught me about Joy and carry those into the next year. And the next piece of the puzzle I want to add back in, is CREATE. So what does that look like or mean for me? I have come up with four elements that will characterize my year of CREATING. I’m sure this will change and evolve over the year, but that’s the beauty of it. I am excited to see what God is going to teach me throughout this process in 2017. Focus on creating a new book on finding joy. This also ties in beautifully with my verse I picked for 2017. I picked out a longer passage this year that especially focuses in the last verse. I shared on Instagram last week that I was working on a fun project: making headbands for our baby girl who is due any day now!! Just one of the ways I’m taking a little time to do something fun and CREATE. On a practical level, I want to double down and focus on the simple and important things throughout my day. I want to create a Gospel-Centered enviornment in my home, as much as it’s up to me. Which means I want to focus on my own attitude and reactions to my family, slow down long enough to read the Bible to my kids before bed, to start doing family devotions around the dinner table, pray more for my husband. To craft and create a Gospel-Centered home more and more with each passing day. That’s my main goal and my main focus for my home this year. And thinking about the word CREATE just beautifully sums up what that looks like for me. A big part of creating a Gospel-Centered home is also investing in those times and memories for my kids. Making sure we get out of the house and go to the park for the afternoon, that I sit outside in the sunshine with them, that my kids remember a mom who laughs and plays with them. This also goes hand in hand with creating a gospel-centered home and training them up in the Lord. And lastly, I’m getting back to my creative roots with projects and crafts. I am a crafter a heart. 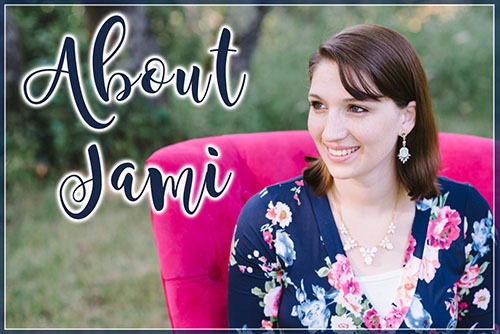 I love creating things, I love working with my hands, and my entire ministry was born out of me playing with a new hobby: blogging. I even had an Etsy shop at one point with homemade headbands. Getting all ready to dive into one of my new projects this year: Scrapbooking through the Project Life system. I am SO excited! This year I plan on exploring that hobby again. Investing a little time in myself doing something I love. This doesn’t mean I’ll start using hours every week for this, because I don’t have the time to do so. But even 5-20 minutes once a week can be so life giving and encouraging to me. Okay, are you sick of hearing my word for the year and want to move on to picking your own? What do you wish you had more of (or less of) this year? What word or idea do you want to dominate your life this year? What do you want 2017 to be characterized by? Is there something you want to work on? Like finding more joy in your home. When you stop. think for just a second. What one WORD comes to mind? If you are struggling to narrow it down. Then hop on google and look up the definitions, this might help clarify things. I was thinking that CREATE might be a good word for me this year and when I looked up the definition, it solidified it for me. There are so many great ones out there to choose from! I would LOVE to know what word you picked for this year. Leave a comment here or hop on over to Instagram and share your word there! I know it’s the trendy thing to talk about planning at the beginning of the year, but for good reason!! You have an entire year open to you. Plenty of time to jump into new things, correct things that are not working, and plan for a successful day and year. Even if it’s April when you read to this, it’s never to late to jump in and start correcting things. So I wanted to remind you that I have an incredible resource that’s totally free called 5 Keys to Planning a Successful Day. The 5 keys guide includes a training video which you can also download as an audio version if you prefer, a 28 page guide to work through the 5 keys, as well as two beautifully designed scripture art prints you can download, print off, and focus on God’s Word more in your home. The 5 keys to planning a successful day include: planning the night before, picking your priorities, how to schedule in bible reading and prayer, giving yourself incentives for deeper motivation, and defeating the myth that you can do it all. So you can jump into my free training anytime and jump start your year to success! My entire goal with all my resources is to help you think and act more intentionally in your home as well as point back to Christ in all you do. I love your word for 2017! I kind of have a word, and a phrase for this year. My word is ‘gentle’, as in the ‘fruit of the spirit’. This will be a challenging word for me, especially in my parenting! My phrase is ‘walk worthy’. I am really digging into The Word this year, to find out what God wants from me, in my Christian walk. I have been given so much, now it is my turn to ‘freely give’. It is going to be a challenge for me to find the balance between walking worthy of Christ (as we are called to in Colossians 1:10, Philippians 1:27 and Ephesians 4:1) and accepting Gods grace when I don’t live up to perfection! But I really feel like this is something important that I have to completely immerse myself in, this year. I didn’t have a word of the year until I read this article yesterday. And I still didn’t really think about it until last night, when I was getting ready for bed. So, my word of the year is “discipline.” I am a big procrastinator, and there are definitely some areas in my life that need to be whipped into shape. This also goes along with things I have been reading in Say Goodbye to Survival Mode (per your suggestion – thank you!!!). I’m excited and also a little apprehensive to see how it turns out! Thank you for all you do on this blog. Even though it’s geared for young wives, I find that a lot of it actually applies to my young single adult life. Thank you! This is exactly what I’m doing this year! I’ve literally been writing a piece about living joyfully. I hope to live more in the moment with my family. This is tough for me, because my professional future is completely up in the air right now. In spite of my anxiety and confusion, my goal is to make our home and family life happier, more nurturing, and more fulfilling. That’s awesome! 🙂 I love your focus for this year! !